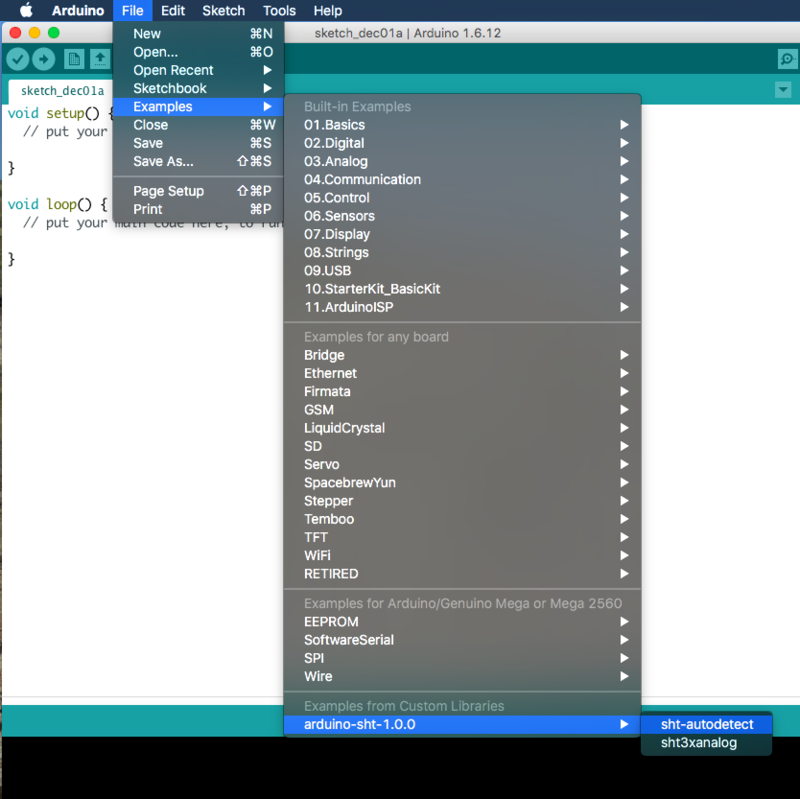 In this example, we show how to build a simple weather station using the Arduino Uno board and Sensirion's SHTC1 sensor. 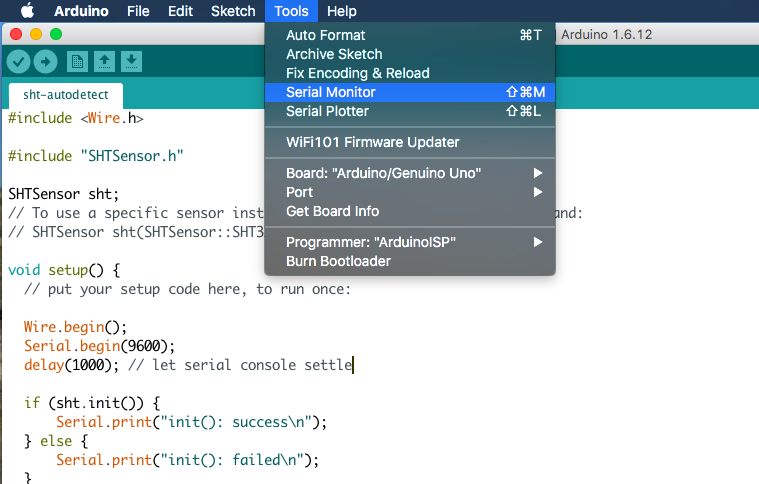 The first step is to install the "Arduino IDE", a program that runs on your computer, which is used to develop code and download firmware to the Arduino board. 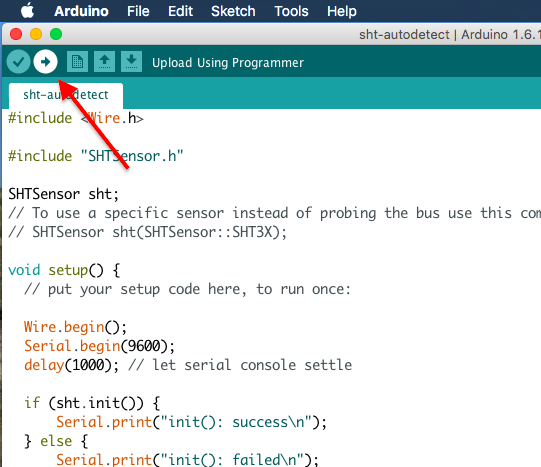 To do so, please follow the instructions on the Arduino webpage here. 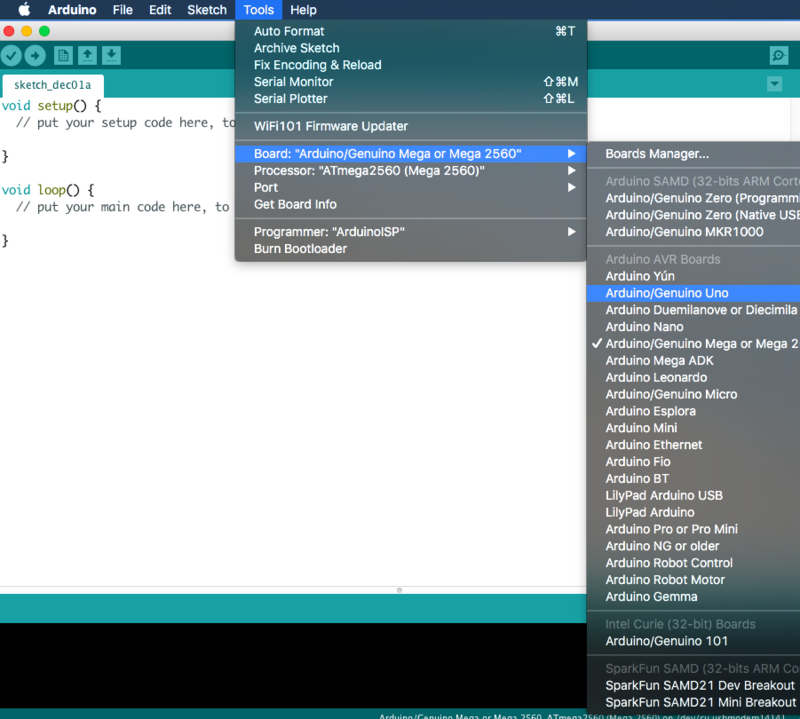 Once you have the Arduino IDE installed, it's time to set it up for your board. This defines for which board the code is compiled. The next step is to get the software library that supports Sensirion's humidity and temperature sensors. To install the current version, download the archive using this link and import the .ZIP archive by running "Sketch > Include Library > Add .ZIP Library". 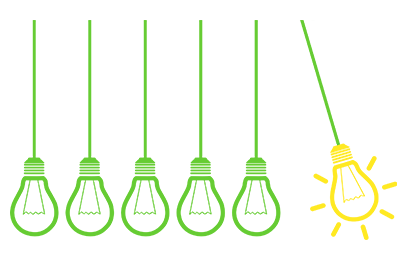 The Sensirion library comes with two examples, one for the I2C sensors, and one for the analog SHT3x chips. Since we're using the SHTC1 board in this example, we'll use the I2C example, which is called 'sht-autodetect'. 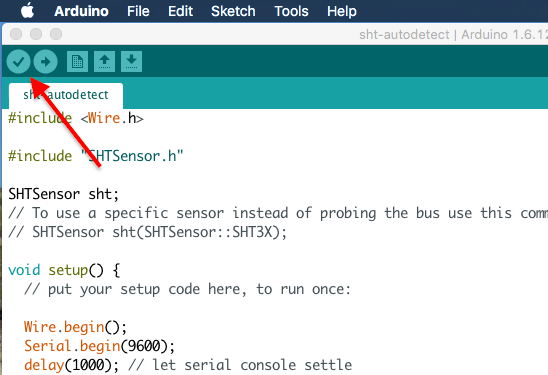 To open the example program, select "File > Examples > arduino-sht-1.0.0 > sht-autodetect". This will upload the code, and reboot the Arduino. After the reboot, the Arduino will start communicating with the sensor board. In order to see the values read from the sensor board, open the "Serial Monitor" from the "Tools" menu. This will show a new window, which displays values for "RH" (relative humidity) and "T" (temperature). Try holding the sensor board over a cup of coffee to see if the values raise.